Adelaide, Perth, Melbourne, Sydney .. .. How good is your memory ? – last time in Dec 2014, India played and lost here at Adelaide .. the bowling line up consisted of Mohammed Shami, Ishant Sharma, Varun Aaron, Karn Sharma .. .. and Murali Vijay who bowled 23 overs in all (besides scoring a 99) and Rohit Sharma. In the Aussie second innings, Rohit took a wicket too ! The Border Gavaskar trophy starts at Adelaide, South Australia on 6th Dec. As with the rest of the continent, the region had been long occupied by Aboriginal peoples, who were organised into numerous tribes and languages. The South Australian Company established a temporary settlement at Kingscote, Kangaroo Island, on 26 July 1836, five months before Adelaide was founded. At Adelaide, there will be “test trains” running on Sunday. Unfortunately these are not “trains to the Test”, but just “test trains” - trains that are testing the tracks and not carrying passengers. The news is all Adelaide train services are suspended for Saturday, December 8 and Sunday, December 9. The routes impacted are: Osborne; Outer Harbor; Salisbury; Seaford; Gawler; Gawler Central; Glanville; Grange; Belair. 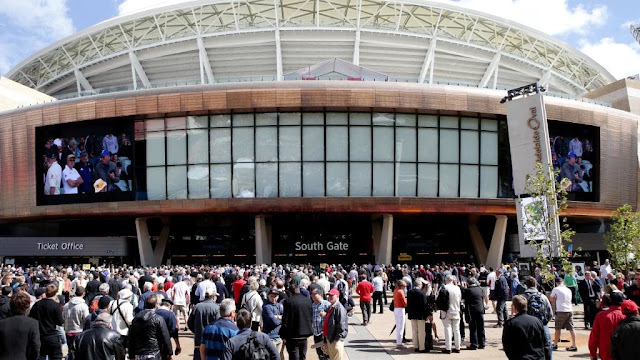 According to SACA chief executive Keith Bradshaw, 13 per cent of fans at the Adelaide Test last year arrived by train. If you’re impacted by the suspension of services, here’s everything you need to know to get to the Test on time. An “appalling” State Government decision to cancel all train services on the weekend of the Adelaide Test match will remain despite a fierce public backlash. Despite strong lobbying from the SA Cricket Association and Stadium Management Authority after the decision was quietly announced on Thursday evening, Transport Minister Stephan Knoll announced early Friday afternoon that that shutdown would proceed. International experts will be in Adelaide that weekend to oversee the relocation of the control centre from the city to Dry Creek and were not available at other times, Mr Knoll said. However, the minister conceded that the situation “should not have been allowed to happen”. On the turf, India will be greeted with some grass at the Adelaide in the first Test against Australia, according to curator Damien Hough even though the encounter will be a day affair. For the past three seasons, Adelaide has hosted three day-night Tests and to increase the durability of the pink ball for such Tests, Hough had kept an extra layer of grass. "We do the same preparation for red-ball cricket and pink-ball cricket at Shield level. The best way to get an even contest is to leave some grass on there and get that balance between bat and ball. Right now, we really feel that this is where it's at for the pitch," he added. The inaugural day-night Test at the Adelaide Oval had ended in three days while the second one was extended to four days. The third Test at the venue ended in the first session on day five. If the curator rolls out a green top, it could suit the fast bowlers of both India and Australia and the outcome of the first Test might as well just set the tone for the four-match series. Last time when they met, four years ago, Fox sports writes that the careers of Nathan Lyon and Virat Kohli may only be a fraction of what they are today if it wasn’t for Adelaide Oval. It may sound a far stretch to hold a venue even partly responsible for shaping not just professional futures, but lives. But prior to one career-defining Test in the City, Kohli was a batsman with great potential rather than a great batsman, averaging less than 40 in Test cricket. Lyon’s situation was far worse. Lyon was becoming increasingly maligned for underperforming in the deciding moments of Test matches. His most notable flop had just come in a two-Test series against Pakistan in the UAE. Australia was whitewashed and Lyon was one of its worst bowlers despite being its premier spinner in spin-friendly conditions. A gladiatorial battle between bat and ball took place on the final day at Adelaide Oval, where a Test that had begun in sorrow a week after the death of Phillip Hughes was given a dazzling finish that highlighted the greatness of this game. India's champion was Virat Kohli, a debutant captain with his sight fixed on a formidable target while all but one of his team-mates failed to show similar steel. Lyon’s first-innings 5-134 was just his sixth five-wicket haul in Test cricket that left Australia with a 73-run lead. But his best was yet to come. India looked certain for at least a draw, reaching the final session on day five with eight wickets remaining. Lyon was struggling at 1-91. A two-wicket maiden bowled by Lyon with 30 overs left in the day sent India into a spin. Seventeen overs later and Lyon was taking his seventh wicket of the innings, sixth since tea, and the last of the match to hand Australia a 48-run win with time to spare. He was awarded man-of the-match honours for his first ever ten-wicket haul (12 at 23.84), with the majority of his scalps coming in the Test’s dying moments – a time when many believed he went missing. Lyon’s most notable wicket was that of Kohli, who had long threatened on the final day to capture an unlikely result for the visitors. His hard-fought 115 off 184 in the first innings was bettered by his gritty 141 off 175 in the second. Kohli became just the sixth opposition player ever - and the first in more than 50 years - to score a century in both innings of a Test in Australia. No visiting player has matched the feat since. Down under, Arsalan Khawaja, brother of Australia cricketer Usman Khawaja, has been arrested as part of an investigation into a notebook which contained a “terror hit list” of Australian politicians. A.Khawaja was taken into custody on Tuesday morning after being taken in for questioning in October. Among the names listed in the notebook were Malcolm Turnbull and Julia Bishop, however Ten Daily reports that police do not suspect A.Khawaja had plans to carry out the attack but was instead trying to “set-up” a colleague. The notebook was found in August. Production began on Coca Cola’s Thebarton site in 1952 with the decision to close the plant coming in February last year. Since then production has been progressively relocated to other plants in Western Australia and Queensland. 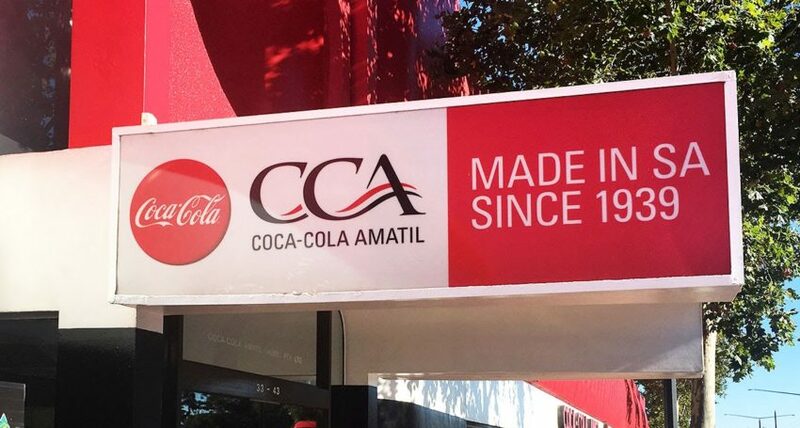 Mortimer said Coca-Cola Amatil had also worked closely with all employees over the two-year transition period to redeploy some and help others find new work. “The wellbeing of our staff is our top priority and most of those who’ve left have achieved their goals in employment, study or retirement,” he said. “We’ve had good support from the South Australian government through this process, including financial support through a co-payment to help staff transition to new jobs.” The decision to close the Adelaide bottling line came after a national review that recommended boosting production in Queensland and Western Australia but winding it down in SA.